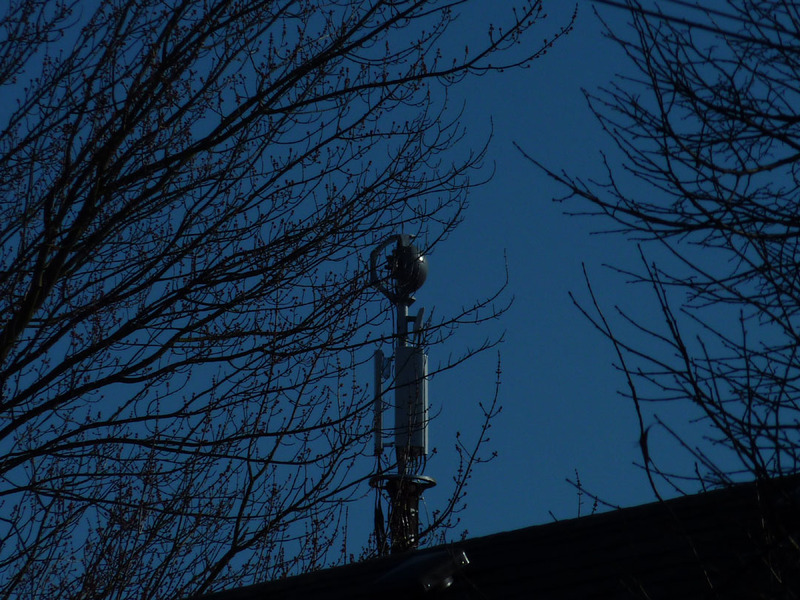 Are You Concerned About Cell Phone/Cell Tower Safety? Me Too. I found this article this morning on urbanMamas.com. 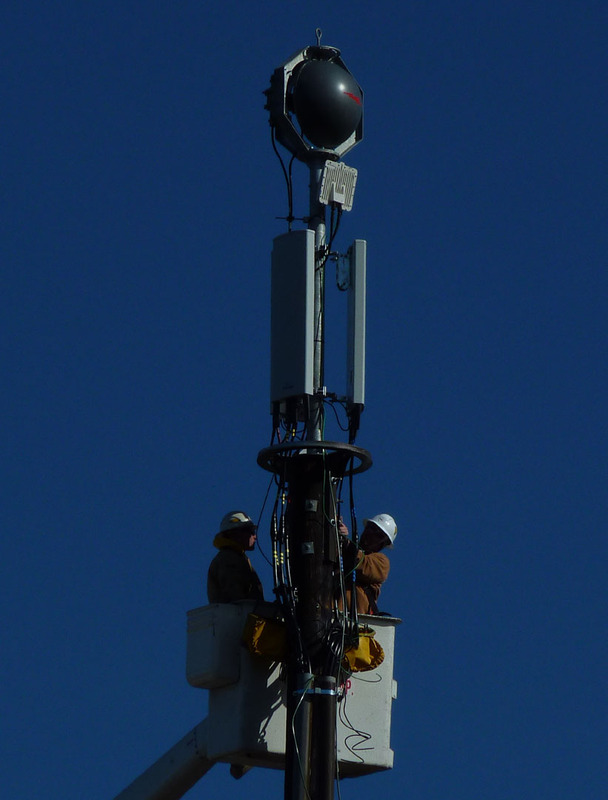 It is about the installation of a new cell tower in the Beaumont Wilshire neighborhood. We had a similar issue exactly a year ago. We are technically in the Woodstock neighborhood, but are a few blocks away from Eastmoreland corner where the tower was going to be installed. The Bee wrote about the issue here. I wrote about cell phone/tower safety here. I am looking forward to the movie Full Signal this Sunday. If you have concerns about the pervasiveness of cellular technology, please take this opportunity to see the movie. I especially urge parents who are in the habit using their cell phones while carrying their infants in slings to learn more. This technology has not been proven safe. The Precautionary Principle should be utilized and we should not assume that ubiquity equals safety. UPDATE: I did not think that it would only take hours for me to run into 1 of the 800 new cell towers expected to be installed in Portland. After posting earlier today I left to take Henrik to yoga. I had hoped to run to New Seasons while he was in class, but I discovered that I had not brought any money with me. 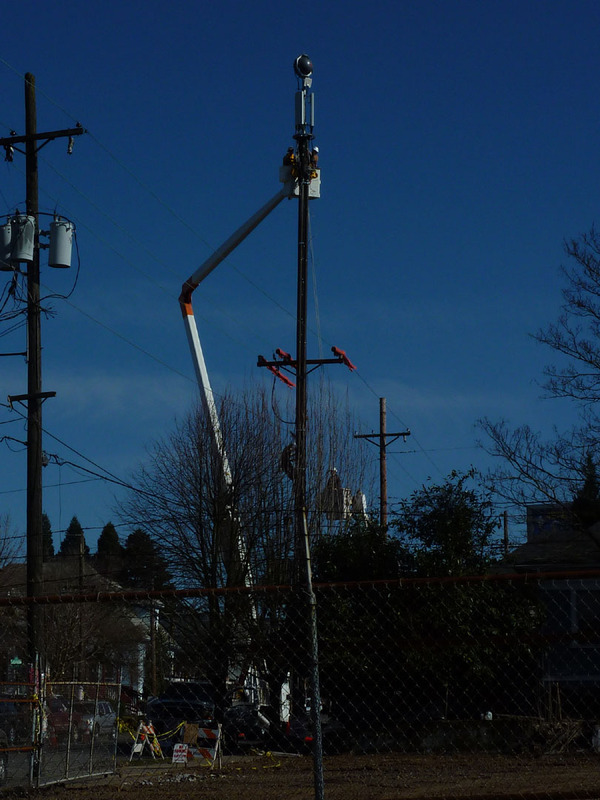 On my way back to his class I discovered this new tower being installed at SE 29th and SE Division. I asked one of the workers on site and was told that the tower is owned by Clearwire. Luckily, I did have my camera. Looking east toward SE 29th & SE Division. This tower is enormous and is within .2 of a mile of Hosford Middle School. 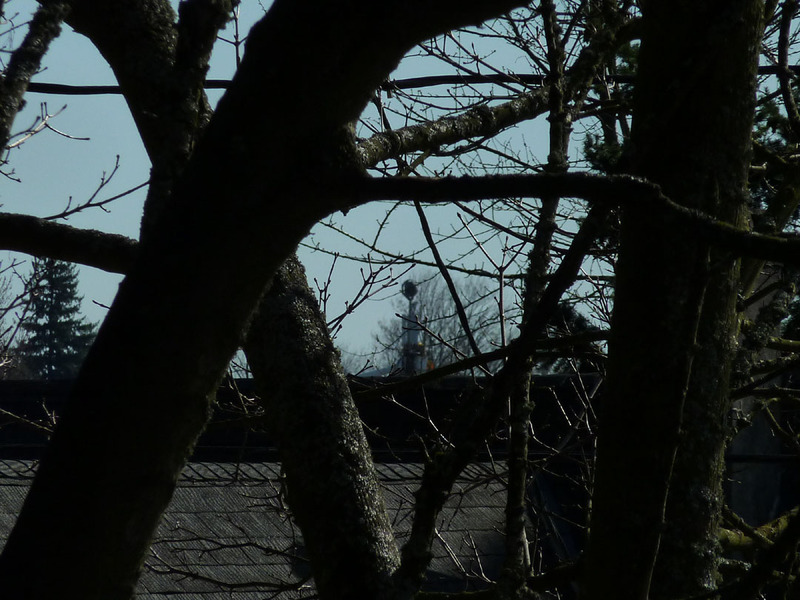 It was still visible through the trees about half a mile away from the parking lot of Henrik’s yoga class. We can’t see lead in water or VOCs in the air or BPA in plastic. But, they are toxins that damage our bodies, especially developing bodies. Research the toxins in your life and rework your purchasing decisions based on your findings. This entry was posted in BPA, Cell Phones, Environment, Environmental Health, Local, Precautionary Principle, Watch. Bookmark the permalink. This entry was posted in BPA, Cell Phones, Environment, Environmental Health, Local, Precautionary Principle, Uncategorized, Watch. Bookmark the permalink.